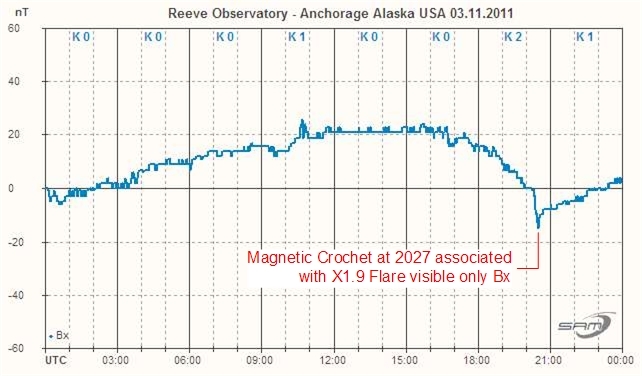 The magnetogram below shows a Magnetic Crochet reported by Space Weather Prediction Center on 3 November 2011. It was associated with the X1.9 solar flare at 2027 UTC (1227 local time). The event was apparent only on the X-component of Earth's magnetic field as measured by our magnetometer at Anchorage, Alaska (see below).